Most of us have to start simple. When you become interested in stock trading, you should do your “homework” well and get enough information before you even attempt to start trading. Jumping into stock trading without any previous knowledge will only lead to an empty wallet and loss of confidence and passion. So what should you know before you open your first trade? Stock market basics for traders are a necessary know how for them if they want to make money by short term trades or investing. Some time ago, I found one book. I started to read it, and it I discovered that it’s a super book to learn basics. This book describes not only basics but almost everything about equity markets: how they work, who’s involved in trading on equity markets, how orders work, what is a market maker, what are typical frauds in the the market, and much more. Read more about this book here. Unfortunately there are plenty of stock market books available. It is hard to select the best books on trading. My personal tip is to find some web sites of individual traders and investors and read their reviews of some titles for traders or about investing in the stock market for beginners. 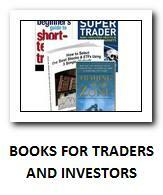 Have a look how to search for relevant worthwhile book for stock traders. Here I would also like to show you some titles that are good for any individual beginner investor who wants to start learning stock market investing. These are really good starting books for beginner stock market investing basics. Don’t miss some of them. Read the book. You will learn something. But do not forget to read the book again after some time, a year or so. After one year of market training you will have more knowledge and you will find something new in a good stock market educational book and your future stock trading will improve. If you really want to get the most out of every book, see my tips for success. After you read couple books and learn some basics, there are still things for you to discover, information to read. Here I would like to point you to three more options that could help you in learning stock market basics, trading and investing. These ways are especially useful to find some details not described anywhere else. Learn more about these three other source of information .